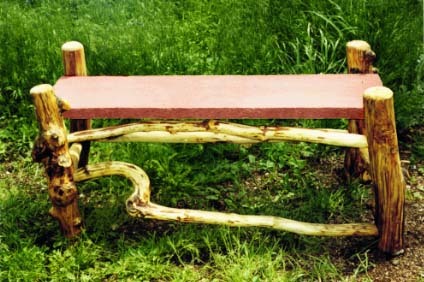 Why choose Artistic Log Furniture? As you can see, my works are very artistic. That is what makes it fun for me and worth more for you. 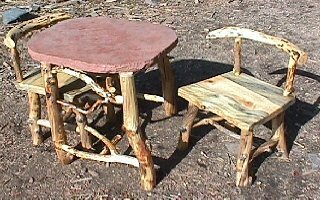 They are created by the materials I have available combined with my creative mind and master craftsman building and finishing techniques to produce long lasting, quality, one of a kind furniture. Heirloom quality art designed to last through your children's lifetimes. Because of its long lasting qualities it actually increases in value over time. 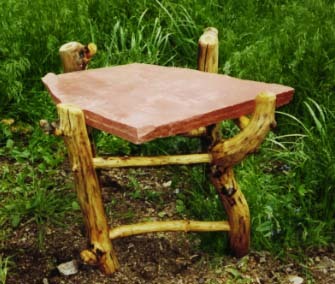 Unlike many art pieces, my furniture is crafted to be very comfortable thus functional. You and your family will receive many years of functional use and appreciation of the works I create.